An Audio CD is a compact disc which contains high quality audio tracks. It is also referred as a music CD. The Audio CD can be played in standard Audio CD players, car cd players, dvd players, and computer optical drives. 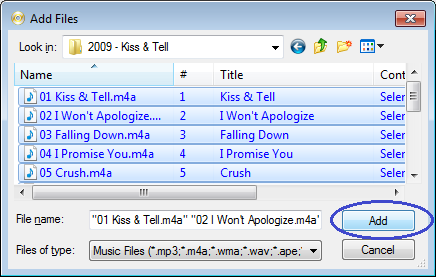 PowerISO can create Audio CD from musical files. 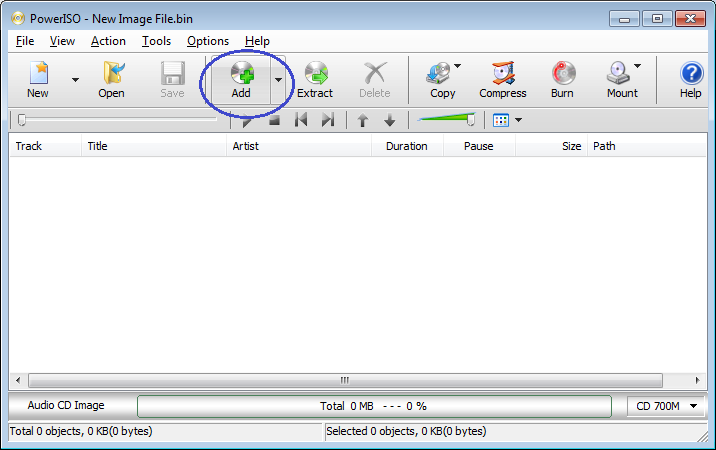 It supports lots of popular lossless and lossy musical file formats, such as mp3, m4a, flac, ape, wma, and wav files. 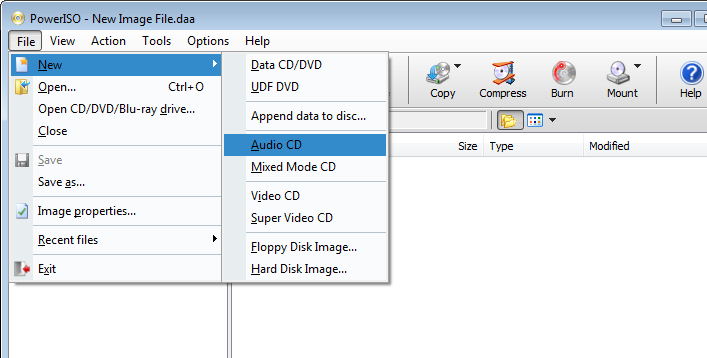 Run PowerISO, and select "File > New > Audio CD" Menu. PowerISO will create an empty Audio CD project. You can then add musical files to the project. Click "Add" button on toolbar. The "Add files" dialog will popup. Select the musical files you want to add to the project, then click "Add". You can select multiple files at once. The selected musical files will be checked and added to current project. Repeat this step to add all needed files to the project. 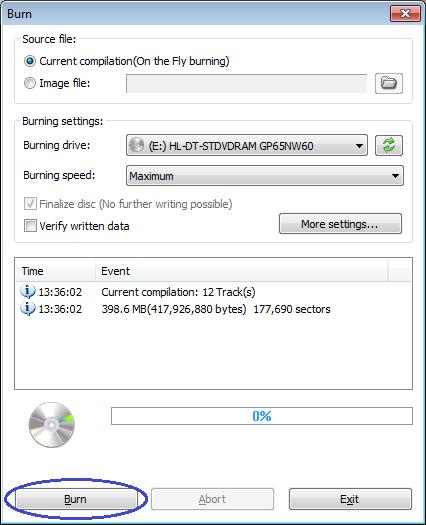 Please make sure that the added musical files will not exceed the compact disc capacity. You can also remove the file from the project by selecting it in the list, then click "Delete" button on toolbar. 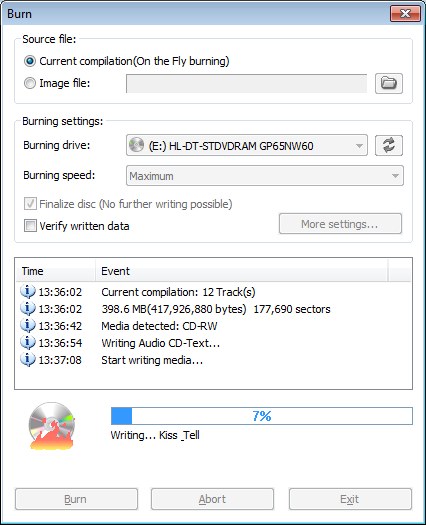 Click "Burn" to start writing audio files to the disc. PowerISO will start writing the disc. You can see the detailed progress information during writing. If there is CD-Text information in the musical files, it will also be written to the disc.